DISCLAIMER! You’re here to learn how to clean a coffee maker, and I will lay it all out for you. However, you should definitely consult your coffee maker’s user manual before you do anything suggested here. Please don’t write to me and say that my advice broke your coffee maker! Do your homework before cleaning. So anyway…if you’re reading this because you just googled how to clean a coffee maker then congratulations! You care about your coffee maker. Or maybe you read something about how your coffee maker is a wonderful breeding ground for disgusting bacteria and mold (which it is). Or, and this is my last guess, your coffee maker is either acting weird or is already broken or is producing the world’s grossest coffee. Regardless of which one applies to you, cleaning your coffee maker is a necessary evil. People who never, ever clean their coffee makers are usually the same people who experience early breakdowns and then curse their coffee maker for being a cheap piece of junk. Whether you paid $30 for your coffee maker or $300, it has to be cleaned regularly or an early death (of the coffee maker, not you) is all but assured. 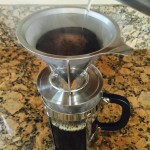 Learning how to clean a coffee maker is easy, and there are a few different ways to do it. The most common method is using a diluted vinegar solution. Lemon juice is also said to be effective at cleaning coffee makers. If a coffee maker hasn’t been cleaned in a while or is acting funny, there are also more serious solutions like descaling agents and even the heavy-duty chemical solvent CLR which is a brand name that’s for removing calcium, lime, and rust. See how they did that? 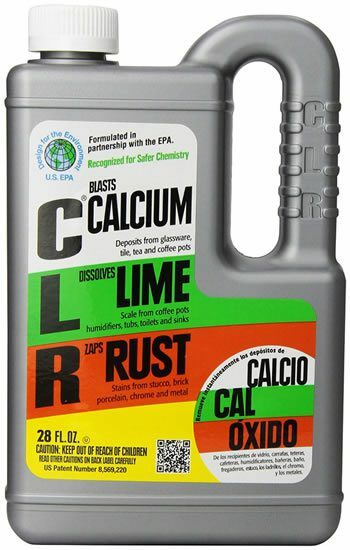 C-L-R. Calcium, lime, rust. Pure genius. CLR is kind of a last resort, as in you’re about to throw your coffee maker in a dumpster, so save that one for last if all else fails. Also, you might need to remove your coffee maker’s built-in water filter (if there is one) before doing these cleaning methods. If you’re not sure whether this is necessary, check the user manual or call the maker’s customer service hotline. First, get a bottle of white vinegar . Go for the big bottle since your coffee maker will need cleaning again in the future. 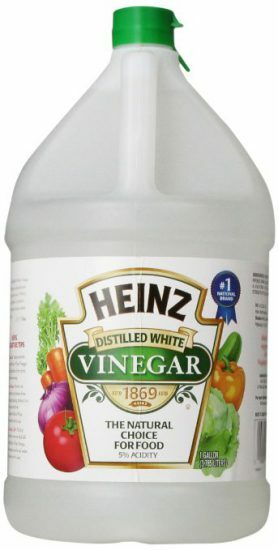 The amount of vinegar you should dilute with water varies depending on who you ask, but I would suggest using a concentration that is no stronger than 1:1 dilution. 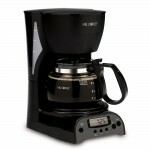 This means that, if you have a 12 cup coffee maker, you would be mixing 6 cups of vinegar with 6 cups of water. If your water is nice and soft you may be able to get away with less vinegar, such as a 1:2 dilution. Also, we’re talking about coffee cups here, not actual measuring cup cups. Just pour the vinegar into your coffee maker’s carafe and use the cup markers to guide you. To keep your coffee maker running smoothly, you should probably do this about once a month. This is essentially the same process as using vinegar (and, according to many, equally effective), but you’re using lemon juice instead. Again, the level of dilution is up to debate, but a 1:1 dilution is usually recommended. 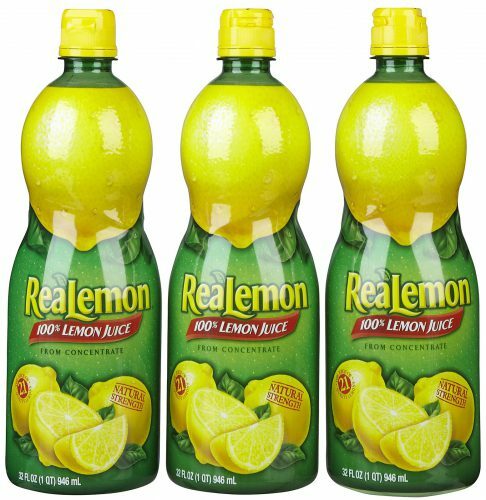 You will need a bottle of concentrated lemon juice unless you want to do it the hard way and squeeze a whole bunch of real lemons. Most coffee maker cleaning regimens recommend using vinegar because it’s cheap and does a good job of killing bacteria. Descaling agents such as Dezcal and Full Circle are intended to remove mineral deposits that are left behind by water, and if your coffee maker is experiencing problems then this is probably the way to go. You should probably also be descaling periodically (maybe once every three months) if your water is especially hard. I won’t post step-by-step instructions here because coffee makers and espresso machines may need different steps for descaling. 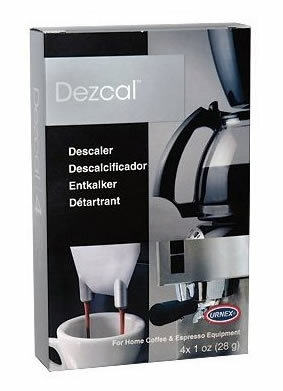 Check your user manual for recommended descalers and how to use your coffee maker’s descaling cycle if there is one. 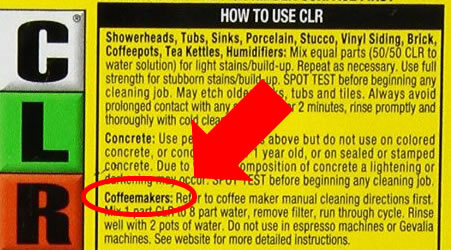 If vinegar (or lemon juice) haven’t gotten your coffee maker working again, and descaling hasn’t worked either, it might be time to give CLR a try. Using a product labeled “harmful if swallowed” on a coffee maker may seem like a bad idea, but if you dilute properly and then rinse the frack out of your machine, you should be in good shape. The way they think up these product names is just amazing! I’m calling CLR a last resort because, even though a lot of people say it’s very effective, this stuff is toxic. Why clean your coffee maker with a toxic chemical if you don’t have to? Along with each of these coffee maker cleaning methods, you should also clean any removable parts as well. Wash the filter basket in soap and water, clean out any residue from the carafe, wash removable reservoirs or follow user manual instructions for cleaning non-removable ones…you get the idea. So that’s it! Now you know how to clean a coffee maker. And don’t forget…clean your coffee maker regularly! That’s the key to happy, problem-free coffee brewing. And the world's best coffee maker is made by...Bunn? 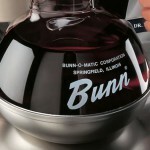 Previous Post And the world’s best coffee maker is made by…Bunn? Thanks for sharing this great help. At my house, I have 2 coffee machines and sometimes, they take me 2-3 hours just for cleaning. 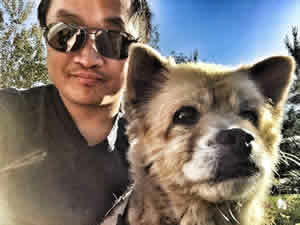 Your guide seems more efficient and hope that it saves my time.